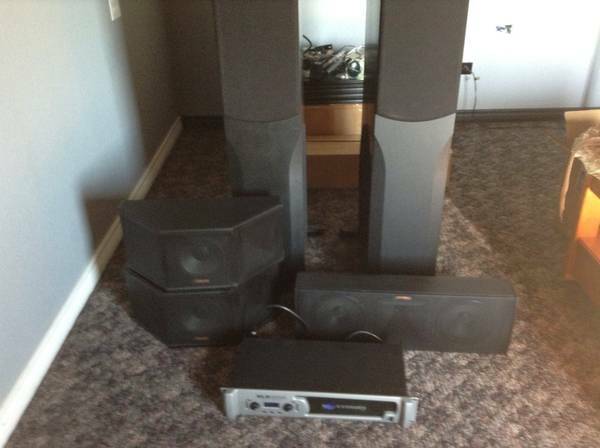 Selling my surround sound which consists ofA pair of Klipsch KSF 8.5 floor standing speakersA Klipsch SC 1 center channel speakerA pair of Polk M10 rear speakers. A MTX subwoofer. 100. Please feel free to email with any questions.